Enough research has been done on the subject to establish that that right pillow can help you sleep better. While normal pillows bolster the head, neck and upper back to find a comfortable position, orthopedic pillows take this to the next level. These pillows not only enhance comfort but also play a part in pain management. They follow the principles of ergonomic support and offer additional benefits such as pressure relief and improved spinal alignment. 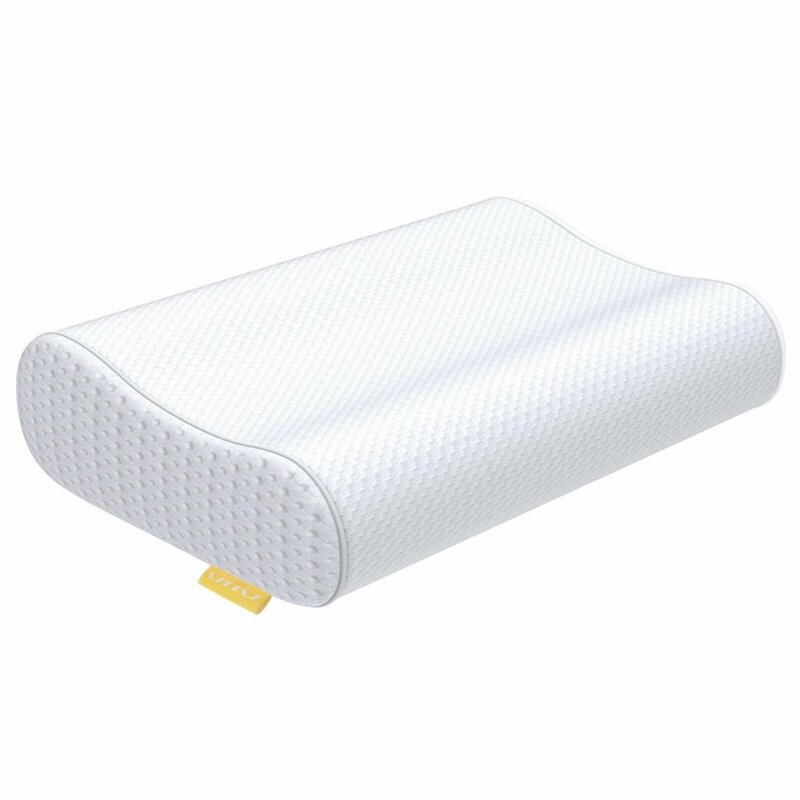 That is why it becomes critical when you look for the best orthopedic pillow, that it fulfills specific requirements. For instance, unlike regular pillows, they usually have a contoured shape to mold to the upper body for maximum comfort. Then there are other considerations such as size, construction material, firmness, and the cover material used on the pillow to improve its aesthetic and functional aspects. Because there is such a vast variety of orthopedic pillows available on the market, choosing the right one can become confusing. That is why we have compiled this list of the top few contenders that will suit different sleeping styles, address various pain relieving issues, and give you a range of budgets to choose from. 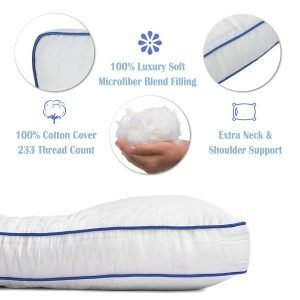 Our testers have taken their time putting this list together which is followed by a detailed product description of each pillow to give you more information. And finally we conclude with a complete buying guide so that you know everything you need to before you invest in an orthopedic pillow. Designed to support the cervical area, this pillow has been reputed to lessen aches and discomfort in the neck and back. 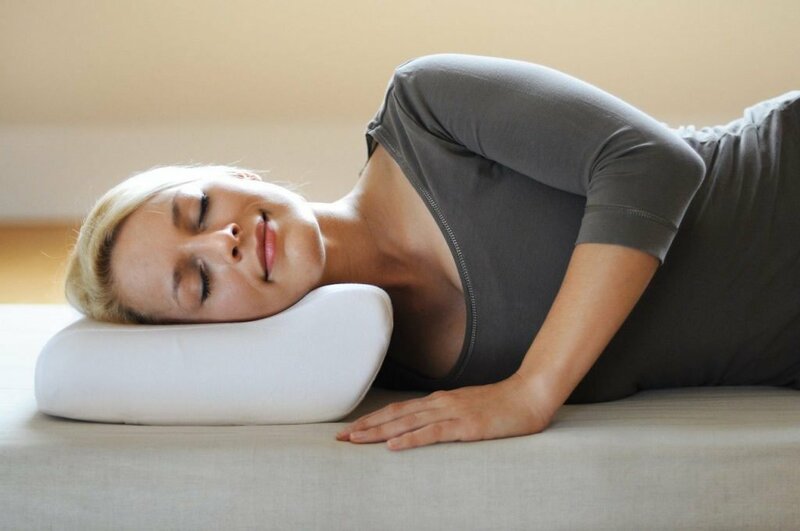 This model offers a functional pillow engineered to assist you with your posture while sleeping. It comes with adjustable features to choose a height that best matches your comfort needs. 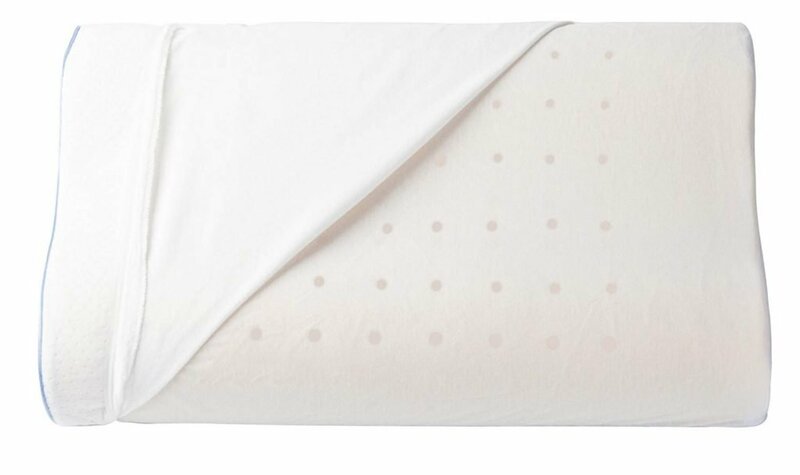 The layers inside are removable and adjustable so you can take out or add as much foam as you need to make the UTTU pillow complement your sleep requirements. The outer cover on this model is bamboo with polyester making it smooth and breathable. At the same time, it is hypoallergenic, removable and washable. The multilayered bamboo fabric with mesh cover on both sides makes for better ventilation and improved moisture absorption. 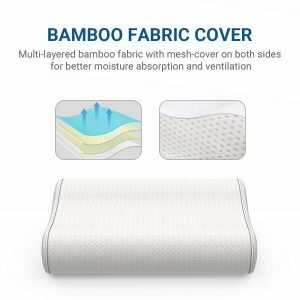 The breathability factor is a major plus as it lends to a more comfortable sleep experience and can be particularly helpful or people who tend to sleep warmer at night. Another perk this piece offers over others is its affordability factor as it won’t break the bank. If you’re on a budget, you can still afford quality without compromising on comfort. 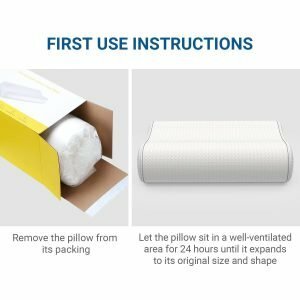 While there are no real downsides to this pillow, you may get an item with some odor issues which is usual for memory foam products. You may also need to give it some expansion time, which may be inconvenient but is perfectly manageable. You get a five-year warranty with this purchase which is another reason why our experts have rated this as the Editor’s Pick on this list. 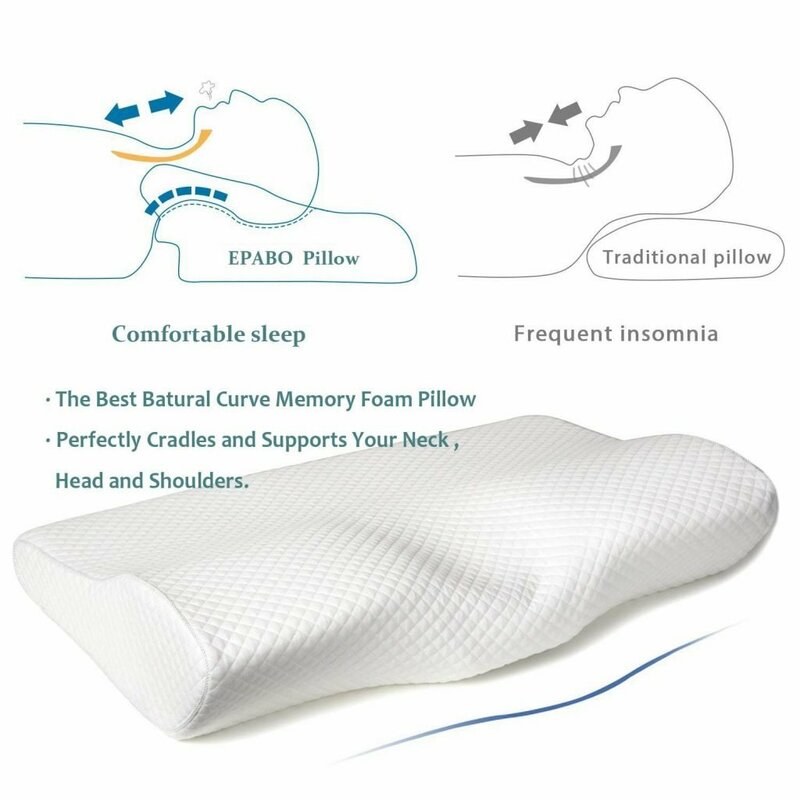 The EPABO is a memory foam pillow that adds just the right bit of height to provide relief to the neck. It has a contoured shape that aligns with the neck, shoulder, and back preventing any type of nerve tension. Compared to pillows that are either too high or too low, this one will line up your neck and spine just right. 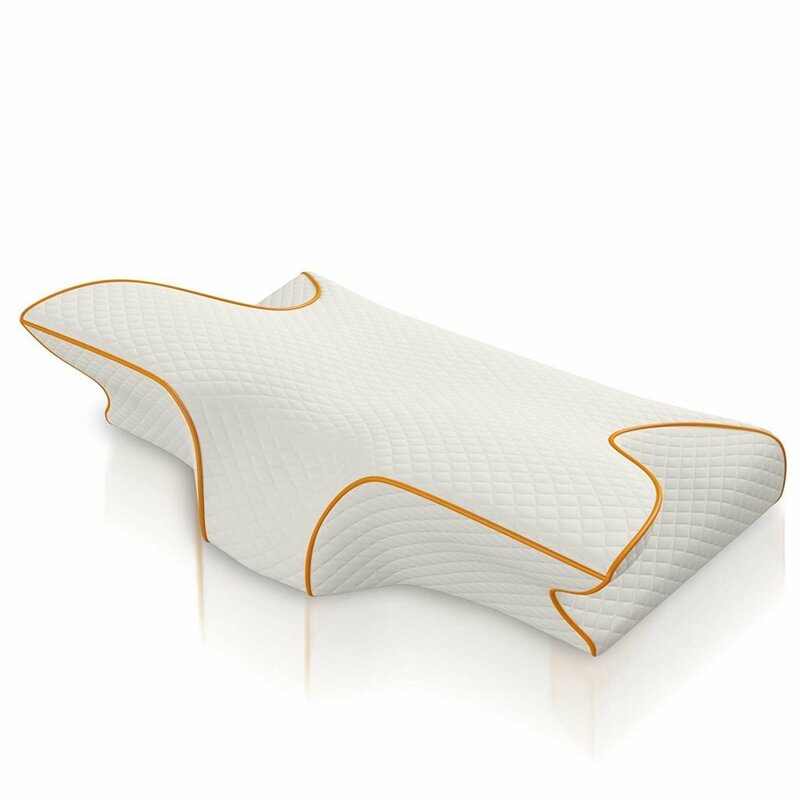 This is a smart orthopedic pillow as it suits all sleeping positions. 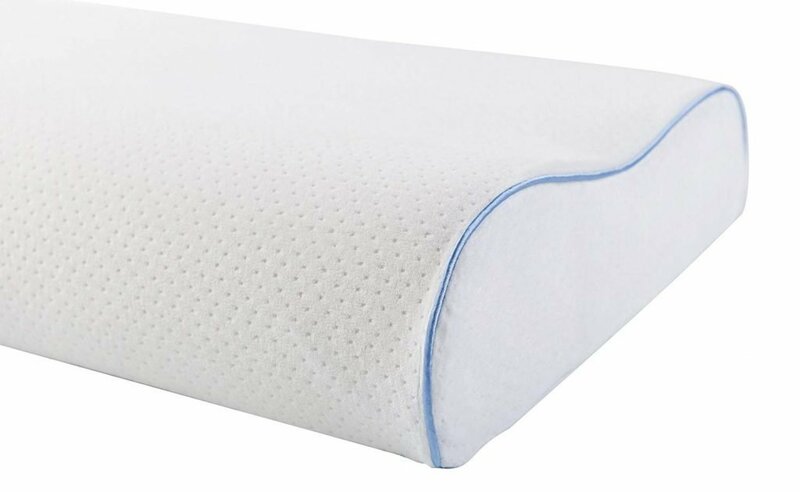 Its ergonomic design gives it an edge over other pillows that lack proper filling to yield adequate support. 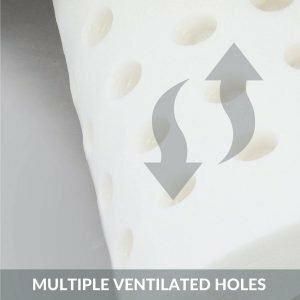 It also has a considerable advantage over the models that suffer from heat buildup due to the use of poorly breathable materials. Instead, the materials used in the EPABO’s construction are hypoallergenic and breathable for maximum comfort. The allergy resistant blend of rayon and polyester gives a soft and smooth feel while also providing dust mite protection. 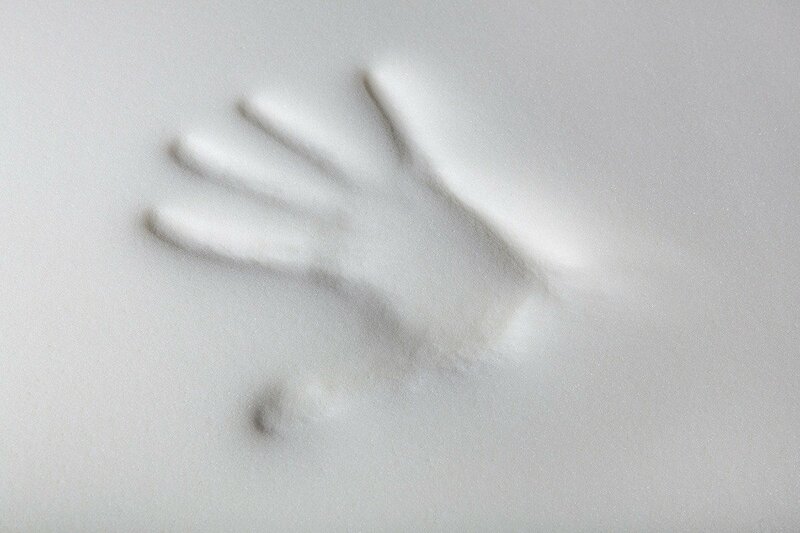 The use of a breathable memory foam yields improved air circulation to keep you cool and dry. There is a net jacket with this pillow featuring a sturdy zipper for easy washing. Just remove the inner core before laundry and do not wash the foam. The casing is machine washable with a tumble dry option at low setting to ascertain unaltered comfort. There may be an odor upon purchase and initial use which will go away after airing the pillow. Other than this minor issue, customers are pleased with this purchase. Because of the comfort, it provides to every kind of sleeper, we nominate this as the best orthopedic pillow for all sleeping styles. Anyone who sleeps on their side will likely have encountered problems finding a pillow that is both supportive and comfortable in this sleep position. 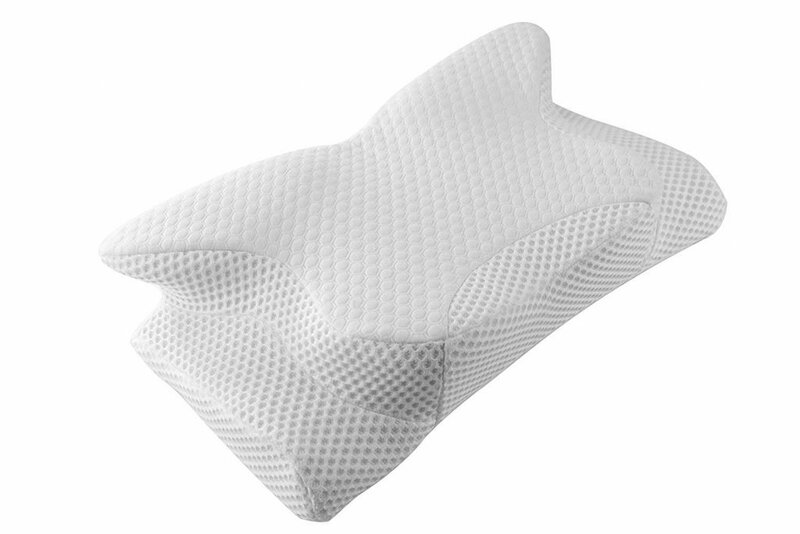 A good fit for side and back sleepers, this contour pillow from Aerius offers medium firmness. It will lend you support without being too hard or letting your head sink into it too much. It is an ideal choice for side sleepers because it effortlessly relieves pressure on the neck and back muscles. The design features a thick pillow with a contour in the middle between two different lot heights. With curved edges, you can rest your spine in a comfortable position to reduce impact. 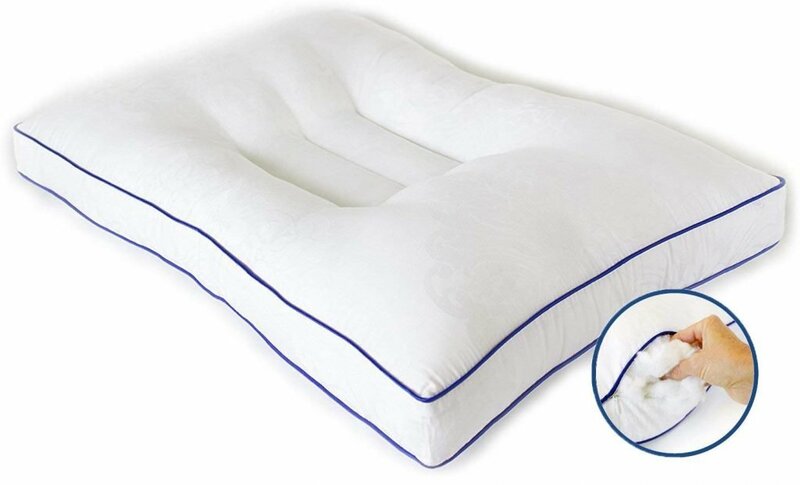 The memory foam used in this pillow is durable and capable of maintaining its shape for years. 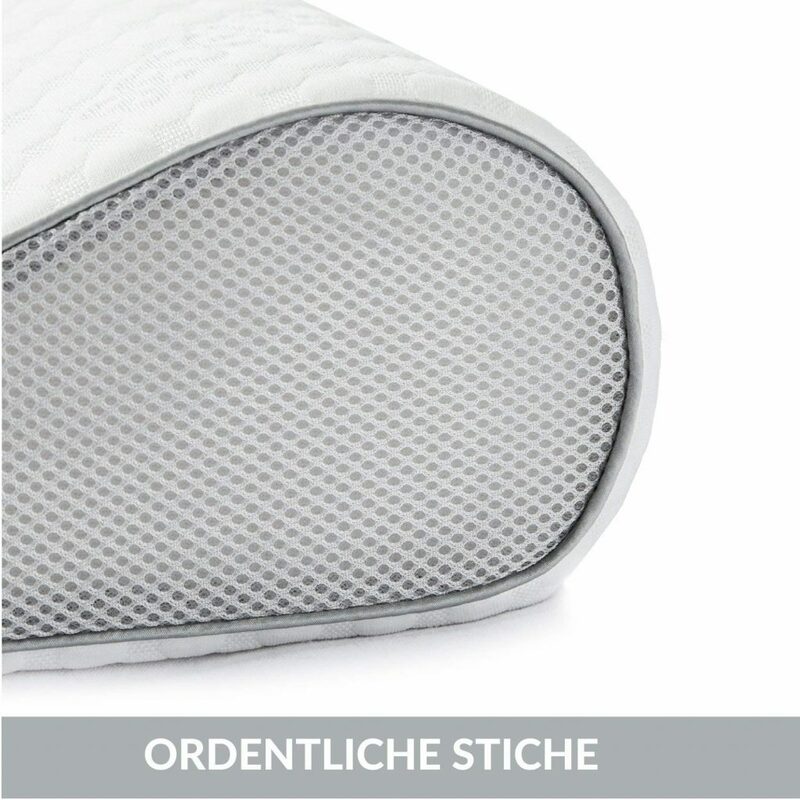 To enhance durability, two layers are covering the pillow. The external cover offers a very plush velour feel and is removable as well as washable. This pillow is ventilated to stop heat from getting trapped inside and making it uncomfortable to sleep on. 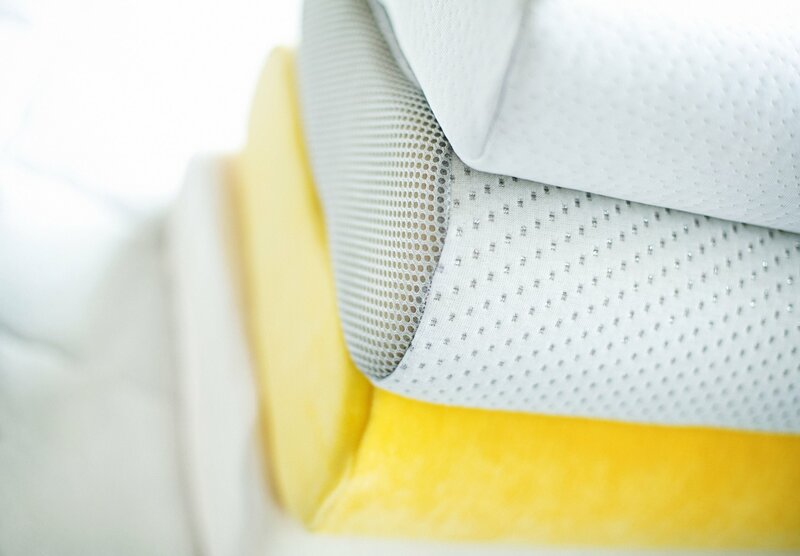 The airflow in the pillow also stops bacteria and dust from accumulating within, giving it hygienic properties. Despite its ergonomic features, some heavier customers felt that it didn’t offer the support needed and could have done more with its firmness levels. If you are looking for a pillow that yields strong support for the neck and head, then this is the way to go. That is why our experts rate this as the best pillow for side sleepers. Another model that features adjustable firmness, this orthopedic pillow is made from a fiber filling that maintains its shape and support. The dual zipper design allows you full access to the pillow filling. 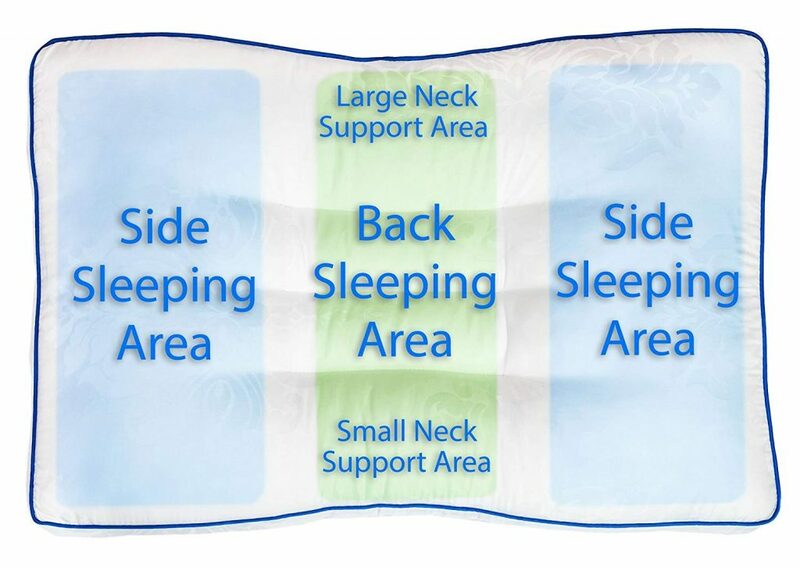 This pillow allows you to tailor the level of support you need by customizing the amount of filling in the back as well as the side sleeping section. The adjustable firmness also makes it a suitable option for people who suffer from neck pain. Finding the correct firmness lets you rest your neck without any straining or cricking. It has a denser filling to provide additional support and is not recommended for individuals looking or a soft, fluffy feel. As such, this is ideal when you want optimal support to cradle your neck in the most comfortable position. Not only is the comfort level of this pillow a winner, but so are its aesthetics. Using an ultra-luxurious all cotton cover, you get a pillow that has gusseted sides with a silk trim. 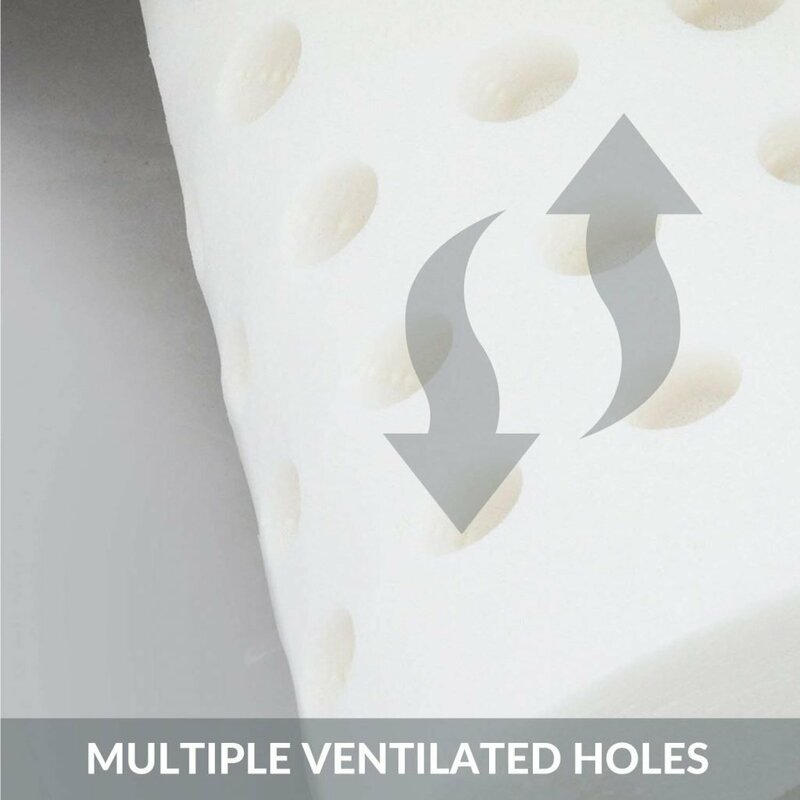 Its state-of-the-art filling provides an improved air flow to promote more restful sleep. With its smart design elements, you can easily change positions from back to side sleeping with no discomfort. All materials used are natural and hypoallergenic so you don’t have to worry about allergies or harsh chemicals. While most customers raved about their experience with this pillow, some felt that even more filling is required to make it firm enough. If you also feel this way, extra filling can be purchased separately. The most unique-looking pillow on the list comes from Coisum. 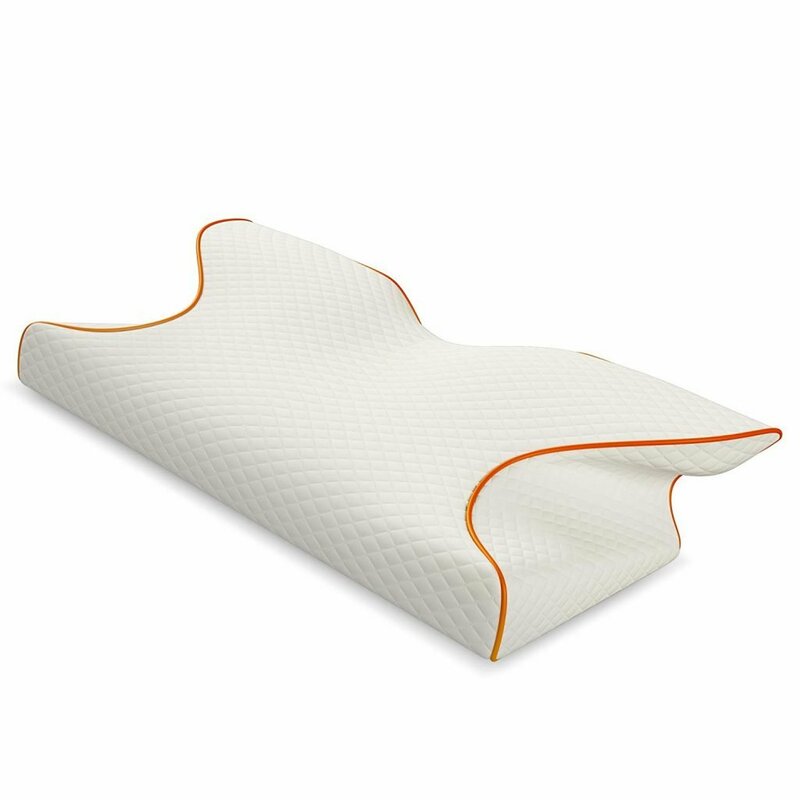 With its butterfly-like shape, this is a dense luxury memory foam that will give you a restful night of sleep. Its unusual shape caters to every aspect of sleeping and aligns easily to the contours of the upper body. 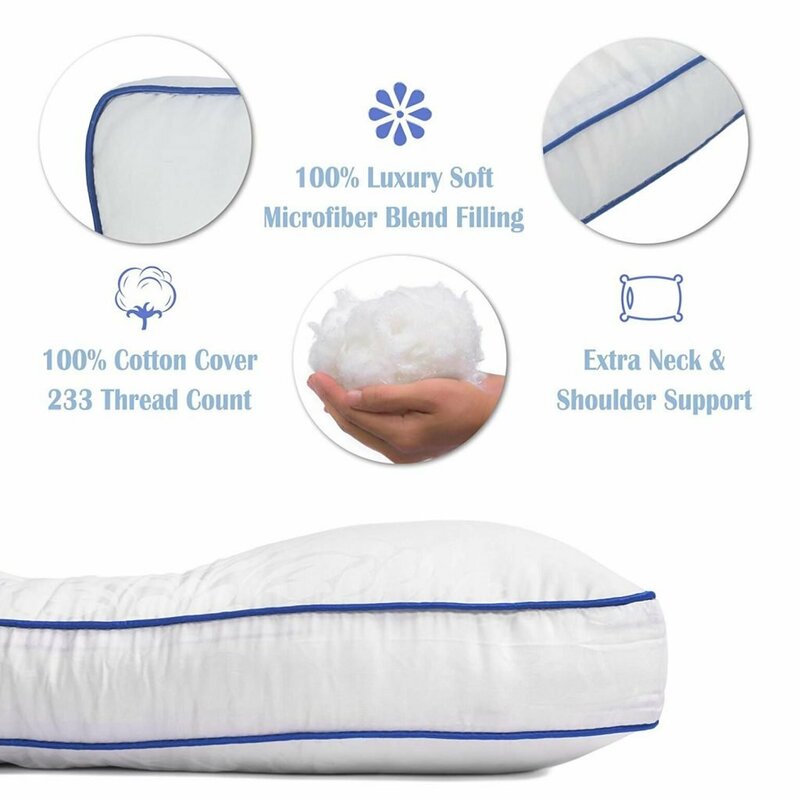 The hollow portion of the pillow accommodates the neck while easing shoulder soreness. At the same time the depression on either side minimizes the chances of tossing too much when sleeping. The one-of-a-kind design also accommodates the arms for optimal comfort. In other words, this pillow is for people with shoulder or neck pain. 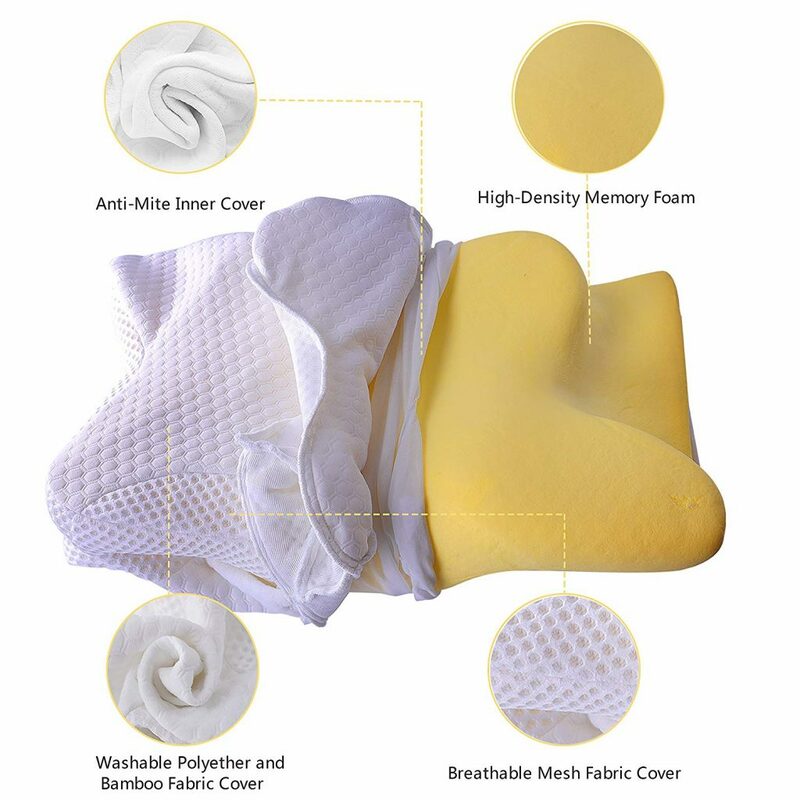 The dense, slow rebound memory foam can support neck and absorbs any kind of cervical pressure easily. 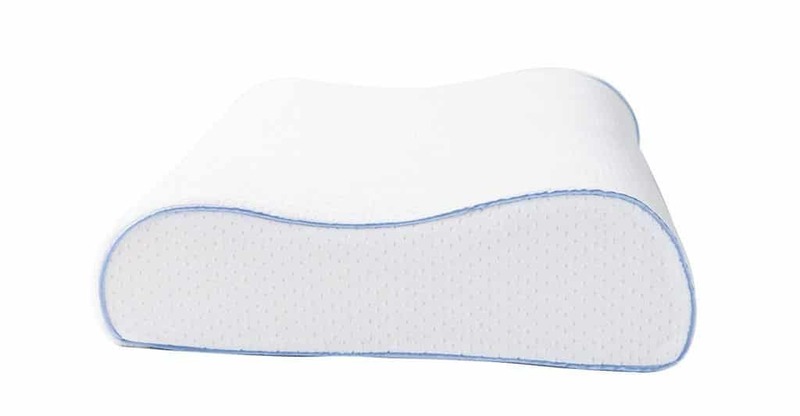 Because the pillow prevents the shoulder from hunching in the front and maintains optimal posture during sleep, we recommend this model as the best orthopedic pillow for shoulder pain. The materials used encourage free movement of air. The Coisum is also a good choice if you suffer from allergies, as it is resistant to dust mites. There is a zippered cover that makes it easy to wash the product. However, manufacturers recommend this not be washed in a machine but by hand in warm, soapy water. Another ergonomically designed product, this pillow from SmartDeluxe showcases softer edges than some of its other contemporaries. 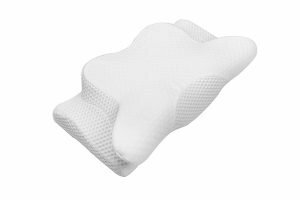 The pillow is engineered to provide the optimal resting position for the head, neck and shoulders giving you the ultimate posture-pedic support. 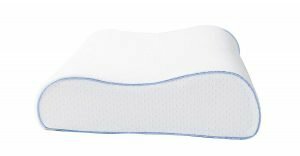 Its high-quality gel-infused memory foam provides a breathable yet snug fit that contours to the shape of your cervical area. 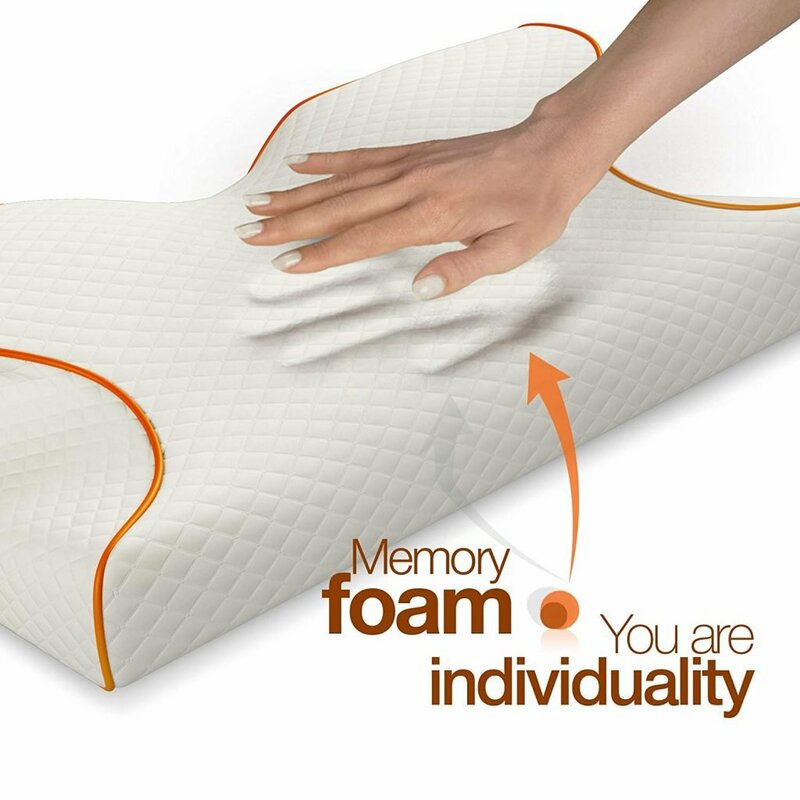 With this pillow you can combine the therapeutic benefits of memory foam and the cooling property of gel. Together, the two yield superior alignment, better muscle relaxation, and even distribution of pressure points along the spine. This pillow offers medium firmness and is not as soft as many other options. As such, it may not be the optimal solution for anyone looking for a slight bounce or a softer surface. Instead, sleepers who want firm contour support will be happier with this option. Its breathable surface provides not only healthy air ventilation but also dynamic cooling and moisture management. These features make this pillow a supreme choice for creating a sleeping surface that is cooler than conventional molded foam. The pillow comes with a removable cover that is easy to wash to retain freshness and comfort. No wonder customers feel that this pillow has taken their sleep experience to the next generation of comfortable sleeping. 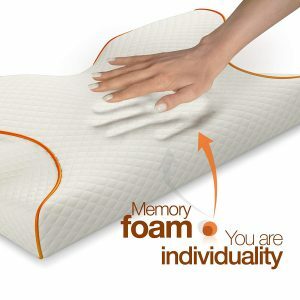 Anyone looking for the classic memory foam feel without the heat retention won’t be disappointed with this purchase. Who says you can’t be comfortable without breaking the bank? 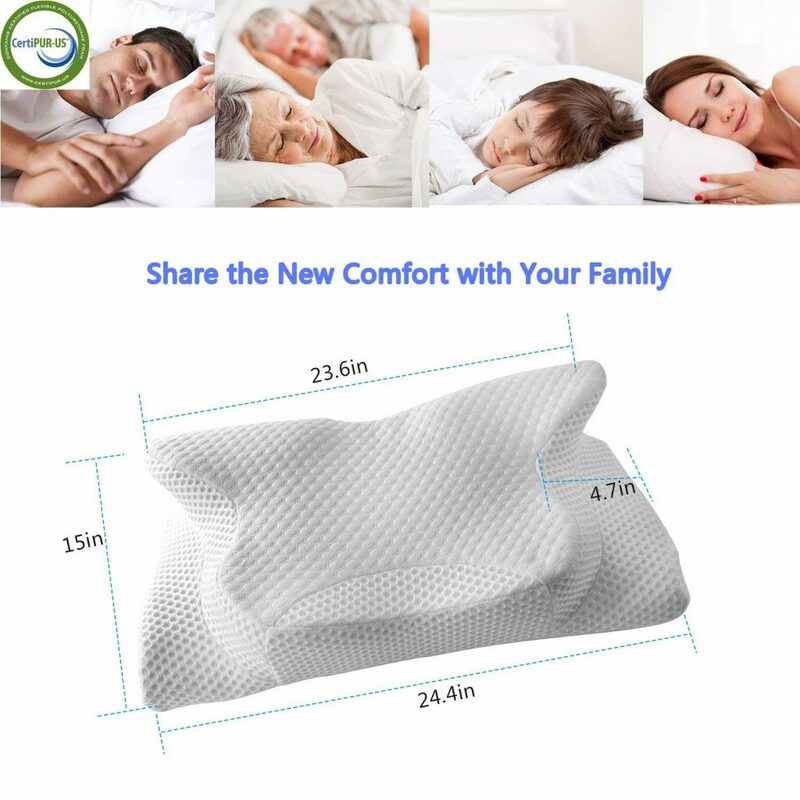 This Bedsure orthopedic pillow ensures maximum comfort at an attractive price point that will let you enjoy a comfortable night’s sleep without having to spend a fortune. 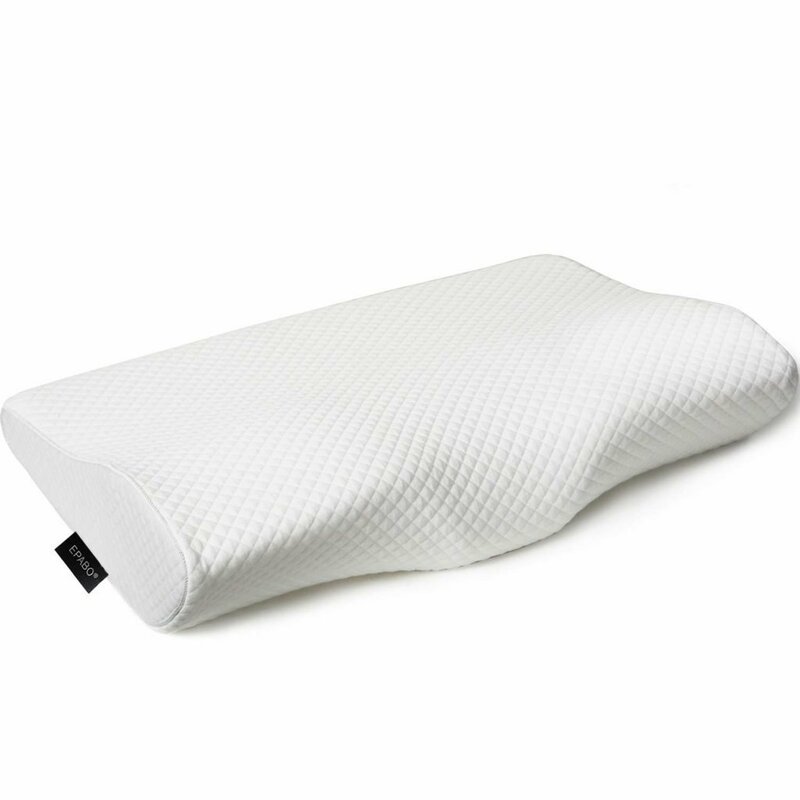 This is a medium-firm orthopedic pillow that caters specifically to side and back sleepers. 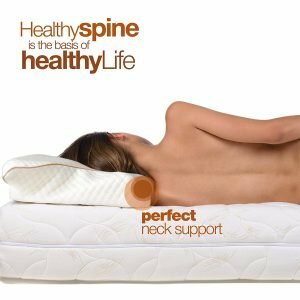 Its contoured shape gives you optimal support whether you like to lie on your side, cradling your neck and shoulder, or if you prefer sleeping on your back with your spinal alignment in place. The firmness of this pillow may take a bit of time to mold and form to the head’s weight and shape. Compared to other similar products, this is a somewhat smaller pillow which may seem awkward at first. However, it contours nicely giving you plenty of room to rest your head and support the neck. In addition, this pillows yields two different heights for supporting your neck. On the lower side, it sits at three inches and on the higher one at four so that everyone will find their ideal height. It comes with a microfiber cover that is removable and has a quilted texture. It is also washable, although not waterproof, so it may be a good idea to place another cover over it for added protection and convenience. The pillow is not machine washable but can be spot cleaned instead. You can rest assured not to experience any neck-cricking with this reasonably priced pillow which earns it the nomination for the Budget Pick on our list. An orthopedic is not an ordinary pillow. It is made to provide you with ease and comfort during your sleep. The question is, are you purchasing the perfect one for yourself? Considering that people sleep one-third of every day (about eight hours in a 24-hour cycle) translates into one-third of their lifetime. With that many hours dedicated to your pillow, you’ll want to get the best one possible. Is an orthopedic pillow better than a traditional-shaped one for easing your neck and shoulder pain? 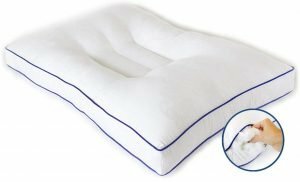 The purpose of an orthopedic pillow is to make sure that the user’s body is in the proper position while sleeping. This helps improve the alignment of the upper body such as the neck, shoulders, head, and back. While you sleep, you may not have control of the way your body twists and turns, and you wake up finding yourself in the oddest of positions. A regular pillow does not help you maintain the right posture while sleeping, but when you use an orthopedic pillow, it molds into the shape of your body placed on it. This helps keep your body in proper placement while you sleep, with the pillow supporting your figure. With such a large pillow variety to choose from it is better to know about all of your choices before you go shopping. There are different materials, fillings, benefits, disadvantages, and additional features to know about. We’ll briefly go over all of the considerations you should make when choosing the best orthopedic memory foam pillow. Nowadays there so many different types of pillows to choose from, all claiming to have irreplaceable advantages. There is only one way to really know which pillow you want, and that is by familiarizing yourself with all of the pillow types you have to choose from. When you purchase an orthopedic pillow, you are looking for materials that will mold into your head, neck and shoulder shape. Most natural solutions fail to do so, which leaves synthetic fillings. These may be either memory foam, microfiber or a gel-infused foam. Microfiber – This is a synthetic filling that monitors as well as manipulates temperature when you sleep so that your night goes by wistfully. It can seriously help those people who have respiratory issues and find that feathers are the culprit for sniffly nights. While memory foam will stay in its molded shape for some time, microfiber jumps back to its original form as soon you relieve it of its weight. Stiffer pillows are usually made with microfiber for added support. Memory foam – Memory foam has a wide variety of options to choose from. Whether you are looking for the best orthopedic pillow for side and back sleepers, or one that addresses lower back pain, memory foam is often the top choice. What memory foam does is soften when heat is applied to its top. When you lie down on a pillow with memory foam, it contours to your shape, keeping your head and neck elevated, neck and shoulders even. There are many benefits to back up your memory foam pillows. They are hypoallergenic. The material that they are made of does not encourage the breeding of dust and mites in the pillow, so you can get a nice clean sleep. They come with different sizes to compliment the dimensions of your bed. Unlike normal natural filled pillows, they have no feathers that will collect and create uneven lumps. Since it is a thick slate of memory foam, it has no moving parts to shift around when you sleep, enhancing the support under your neck. Gel-infused memory foam – The gel-infused orthopedic pillow is the perfect blend of memory foam and gel brought together in one effective piece. While memory foam is a highly reliable material for support and comfort, it can retain heat. Gel adds cooling properties to this and serves those sleepers well who sleep warm at night. Gel infusion is a matter of preference since memory foam already does give you the benefits you are looking for. 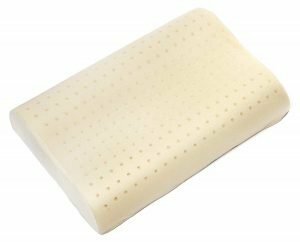 To select a gel-infused orthopedic pillow, consider the SmartDeluxe model we have reviewed here. The position that you sleep in is vital. There are three ways to sleep with a pillow, typically. You could, of course, have made up your own pose entirely but the general three there are include sleeping on your back, stomach and either side. When your head is tilted to the side, then you should try to aim for a firmer pillow so that it can support the more congested distribution of weight. While firmer pillows are harder to adjust to, they do provide the adequate support you need when sleeping. Side sleepers not only have to contend with balancing their head, neck shoulder and spine correctly, but their arm placement also factors in. As such they need to find the best orthopedic pillow to prevent neck and arm pain in one. The UTTU and the EPABO are both serious contenders for this category of pain management. Sleeping on your back calls for a more elevated pillow only on the sides. These are V-shaped pillows, that will let your head sink down but keep your back and shoulders straight. When lying down on your back, these are the best option. Finally there are those that sleep on their stomachs. These type of sleepers should look for a pillow with natural fillings. These are the softest of pillows whilst still offering the support of an orthopedic one. An orthopedic pillow has to be firm to a certain extent so that it can support your neck and head. 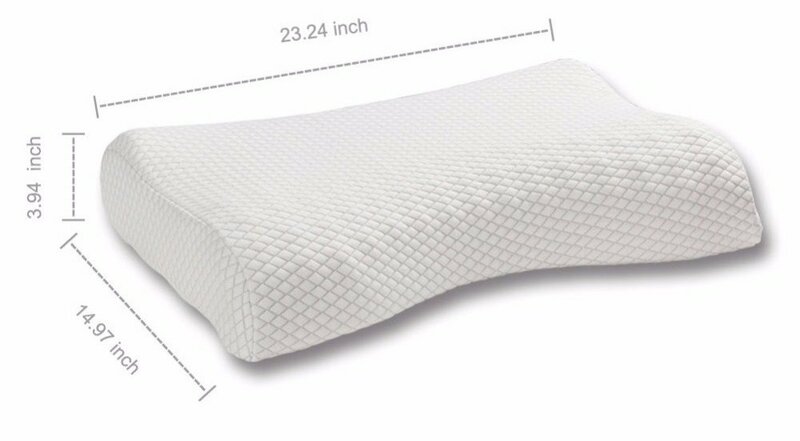 This is another main point that differentiates an orthopedic pillow from a normal pillow. The firmness of the pillow will determine how well the pillow will support your body. For those people who experience back and neck problems, it is better to have a stiffer pillow so that it can hold up the weight better when sleeping. With better support to the upper body, this will then transmit to the lower back. 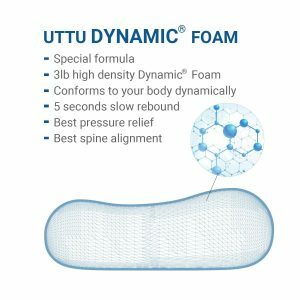 So if you are looking for the best orthopedic pillow for lower back pain, then firmness is a definite contender among considerations. When you have a softer pillow, the pillow will adjust more to your liking, letting you sink down into the material. The downfall to this is that you may not get the support you need and find yourself sleeping in an awkward position, which is not what the pillow is meant for. A firm pillow will hold up and keep your neck and head in a position that will maintain proper posture, providing steady health benefits to your overall spinal wellbeing. 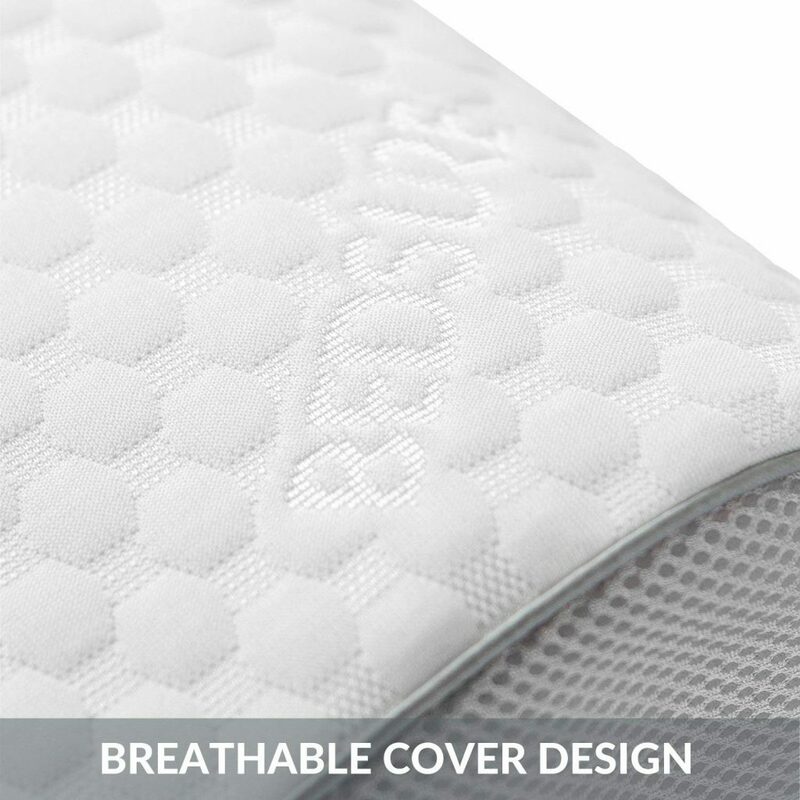 The cover material can be different between pillows, depending on the manufacturer. Each covering holds certain aspects that can make them appealing or not. Some people may have issues with allergies, so they need to remain wary of the cover material of the pillow. Other people want to look for a pillowcase that can be easily removed and washed, like the one that comes with the SmartDelux Orthopedic Memory Foam Pillow. 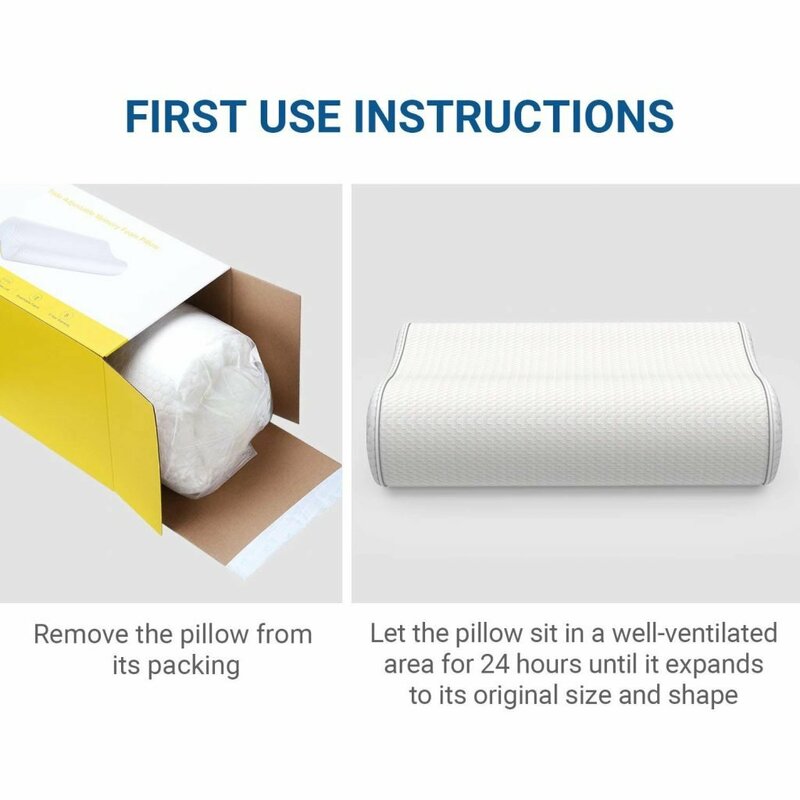 Another factor people pay attention to is if the cover can keep up with the pillow’s contouring shape, or will you be stuck in a small air bubble because the cover couldn’t stretch along with the pillow. While some people suffer from allergies related to dust, it would be better to look for hypoallergenic pillows that don’t allow any dust or mite breeding, making your sleep more relaxing. Every model we have featured on our list comes with hypoallergenic covers. The shape of the pillow will also depend on the way you sleep. They range from a V-shaped pillow to a contour one. Of these, the V-shaped models are good for preventing any rolling while you sleep. It is a snug fit around your neck that helps keep your head upright. This type doesn’t reach your back and shoulders but keeps the spinal cord connecting your neck and head upright. A contouring pillow (like the EPABO Contour Memory Foam Pillow) has a dip in the middle of it which helps those who sleep on their backs. Your head can nicely fit into the center of the pillow, with the side supports keeping you from shifting in your rest. The sides support your neck and shoulders, keeping them at a natural angle, adjusting if your arms tend to move around at night. The size will depend on two things, your preference and your bed. If you have a queen-sized bed, then you only need a moderate-sized pillow. For those who have a king mattress, there are larger options for orthopedic pillows that will fit in your bed. Getting a pillow that is too big or small can also have a serious toll on your sleep effectiveness. You may not get the support you need, or you may have too much pillow to actually fit on your bed. The warranty is probably the first thing you will want to look for; if the pillow proves to be dysfunctional for you, then you won’t have any use for it. The warranty for a pillow should be anywhere from a 30-day money back guarantee to at least to a year limited because it will take some time to see if you’re experiencing benefits from the pillow or it’s encouraging your pains. A pillow, once you buy it, is in its best state and best condition. You need to figure out how long it can remain in its quality condition to benefit your health before it starts losing that original shape and starts flattening. If it’s going to last well over a year then well and good, but if you find that in the middle of the year the life in the stuffing is already dying out, then it is not going to benefit you that much, and it’s time to pull out the warranty receipt. The UTTU offers a five-year limited and 96-night sleep trial, while the Bedsure model provides you with an impressive ten-year limited warranty. Other than the basic features mentioned here, you can also look for some extras when searching for a quality orthopedic pillow. Additional characteristics can include anything from different sleeping zones to height adjustability. Or perhaps the pillow comes with additional covers given its unique shape. Is it hard to get used to such pillows? Not entirely. All pillows were made for comfort, no matter what material or filling they have stuffed inside of them. So the first night will be odd without the normal feeling your old worn pillow gave off, but these pillows were made to fit each and every head’s individual needs. Give it a night or two, and you’ll already be feeling the comfort of your new pillow. Depending on the firmness, it can take more or less time. Pillows like the wedge are made to better handle those people who are already suffering from medical issues. When switching to this kind of pillows should you have a medical history, it is best to consult your doctor first to see if there are no issues with the switch. Otherwise, typical orthopedic pillows are made to help you, so you don’t have any medical issues later involving bad posture, muscle and bone aches. Where can I find extra pillowcases for such unusual-shaped pillows? Usually, whoever you bought the pillow from. 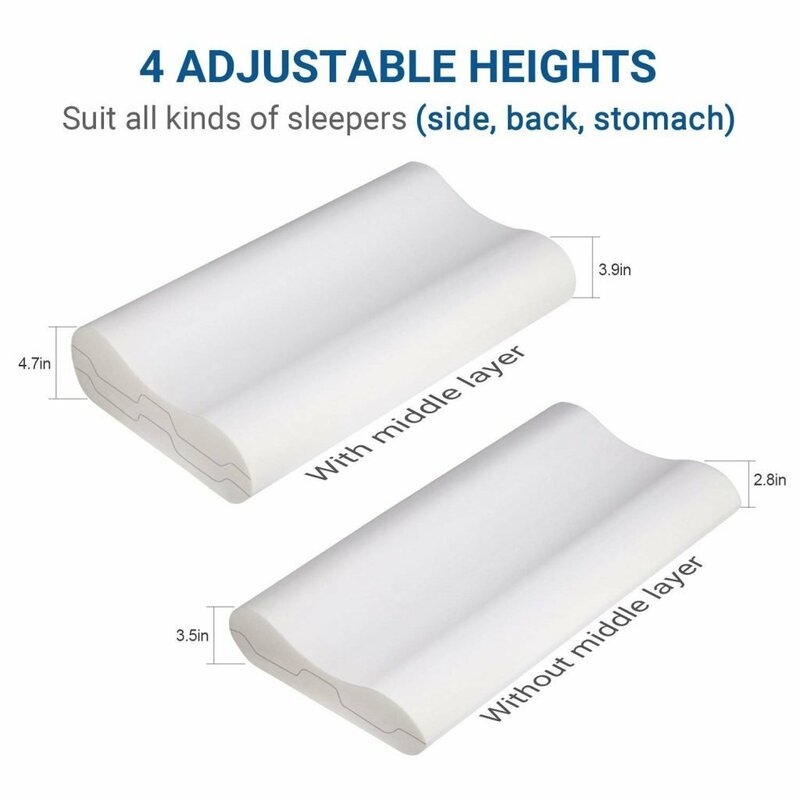 Sometimes they do offer pillow cases with the pillow as an additional purchase, but if they do not, there are always suppliers for this kind of pillows. Some local stores will even carry the cases you need. As orthopedic pillows become better known, the pillowcases are getting more accessible as well. Are orthopedic pillows advisable for kids and teens? There are pillows for teenagers and children, but their contouring shape and capabilities are lesser than that of adults. If they are contoured to the extent of an adult pillow, your child may suffocate: the developing neck and head may be damaged when lying down. So though there are pillows available for younger users, they have lesser versatility than the adult ones. 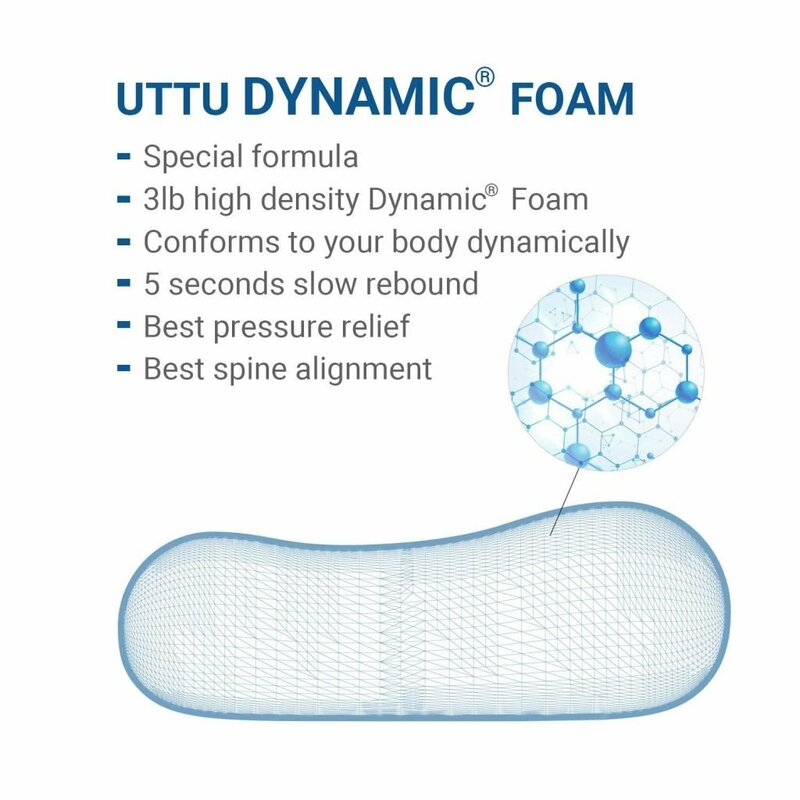 Blending functionality with comfort at its best is the UTTU orthopedic pillow with its adjustable features. For a completely customized experience to minimize any discomfort during sleep, the UTTU will give you everything you are looking for. Suitable or all sleep positions, you can get this great product at a very reasonable price. You can say it’s our Editor’s Pick for good reason. However, if you want to go for a firmer pillow with similar features, then take a look at the EPABO model we have reviewed here. This one also suits all sleep positions but has a firmer feel than the UTTU pillow. Its contoured design lets you sleep with perfect alignment, and it comes engineered to orthopedic standards. 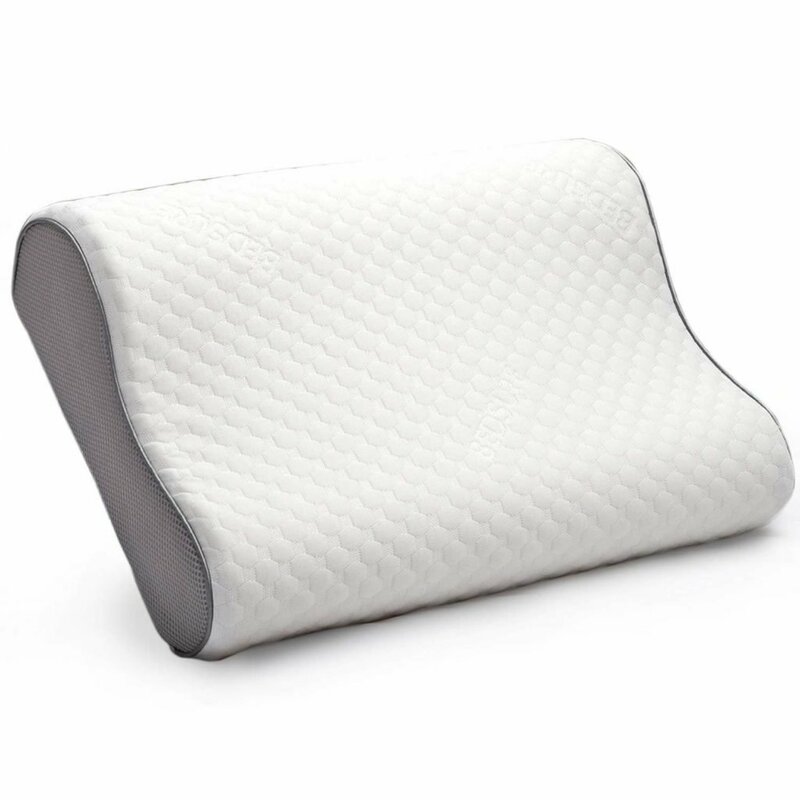 If you tend to sleep on your side more, then the best orthopedic pillow recommendation for you would be the AERIS orthopedic pillow. It gives your shoulder just the right amount of cushion and support to keep this sleeping position from straining the back.